More than anything else, great leaders bring high paced energy every day. They set the tone. They create the environment in which the entire team works. You can feel the energy and the sense of urgency they create, and the really good ones combine this “energy” into the following…………. The pace that they speak. The pace that they walk. The pace that they lead and direct conversations. The pace that they try to speed others up. The pace that they move to and from meetings. The pace that they move hard against mediocrity. The pace that they get to the bottom of what is going on and don’t accept staying on the surface. THE PACE IN EVERYTHING THEY DO! A great leader lives the saying “it’s better to be moving than stagnant”, and they are moving at a high pace and pushing others to do the same….and succeeding. It’s not a “sometimes thing” to be a great leader. It’s an ALL THE TIME THING. Good leader, different story. I’m talking GREAT LEADER. 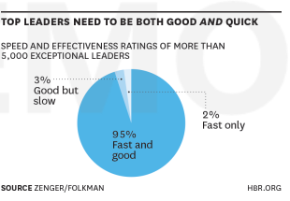 P.S- The picture above is from a great article out of Harvard Business Review magazine, which really illustrates and supports the Chatter team’s view on the impact fast paced leaders have on a business. Check it out! Fired up, ready to go. Welcome to 2017 and we here at Chatter are excited. Hope springs eternal and here today on January 2, 2017 we will head to the gym and get started on losing those lbs., eating right and staying focused on our new and renewed resolutions. In 2017, I want to bolster the thought that we can all learn from anyone. There are lessons everywhere. Doesn’t matter who says it, it matters about the message. So I present to you a 5 minute clip from our President Obama. Now many of you will immediately get either a great or a nasty emotion when I mention the current President. But move past that. And look into the message. The message is what is important…not your politics. It’s really hard for me to watch this without being stirred with positive emotion. Carry this message thru to your family, your team at work, your group of friends, your most precious relationships and so much more. Your voice and your thoughts can make a difference every single day. Believe it. My resolution for the New Year is to remind myself every morning to “raise my standard of excellence” from the day before. 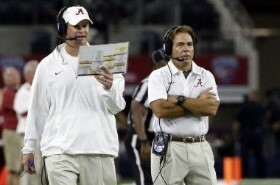 I got this from Nick Saban as he discussed why Alabama football is so successful. In summary he said, we have an extremely high standard of excellence. It really hit me hard when he said that. Gotta raise the standard of what excellence is! And then live into that. And I think that’s what this lady is doing that is described in this clip in a very simple way. Very simple. Raising the standard of everyone in the room in a very positive way that makes a material difference. In 2017, make a difference. I GUARANTEE if you spend 5 minutes watching this clip, you will email me and thank me for sharing it. Happy last day of the old (2016), and wishing everyone a terrific and awesome new (2017)! Here at Chatter we typically like to talk lessons, strange stories, heartfelt moments, and nonsense. But this week is a little different as we touch on a few personal highlights to hopefully trigger your own list. Next week we will get back to our normalcy but thank you for the opportunity to recap as best I can my personal 2016. And maybe that helps you capture your own “big rocks” and focus on how your year went. As I sit here reflecting back on the year 2016, I’m overwhelmed with gratitude, wisdom, love, passion and perspective. Everything worth achieving in life is on the other side of adversity. I once told that to someone and it’s really true. 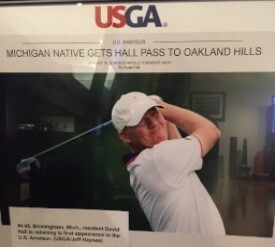 I worked like all get out on my golf game………and to be able to qualify for some of the biggest golf events in my career. I also started my own company and it’s a rewarding and difficult thing to do all in one. Enough of the lead in…here it is my friends…2016…..epic!! 2016 was a year of change and so many incredible accomplishments. It just goes to show you never know what’s in store and your life could look very different one year from now than it does at any given moment. Mine sure does, and it couldn’t be better. In early 2016 I decided to leave the company I had helped to grow and felt satisfied with…… to start my own company again. I took a little needed and welcomed time off but quickly got a renewed focus and started Hall Financial. Over the course of the year we grew to 25+ people and moved to new office space and the future is looking bright. Super excited about our 2017 as we grow to 60 plus team members this year……. I’m pleased to be able to say I traveled more than I have in a very long time both for golf and to escape the dreary Michigan winters. I traveled all summer to play tons of golf, qualified for the US Amateur Championship as well as the US Mid Am Championship then went on to win my club championship. It was a very cool year in golf. I’ve never been so focused, so centered and so free to completely infuse myself into one of my greatest passions in life. And I saw the fruits of my labor for sure, so worth it. These created some of the best golf memories of my career……to date. I was really fortunate. I got to spend some much needed and enjoyed one on one time with both my Dad and brother at different times during the golf season and it made me appreciate those times and them that much more. They both caddied and were great!! We’re all healthy, happy and that’s what it’s all about. Jason caddied for me at the US Mid Am and we had some much needed brother bonding time. I really cherished those days. Then the big one came—Andrea said “Yes” after I popped the big question on her birthday in August. We planned a destination wedding (of course) and just under 60 days from now I’ll have her fooled into spending the next 50+ years with me. This one came as a shock to most but I’m here to tell you when your standards are high and you wait and wait and wait… life might slap you in the face with more than you could have asked for! She isn’t just my fiancée though, she’s a career woman if I ever knew one. She has earned honors in her industry for Elite Women as well as Top 40 under 40, and also was named as the MVP of her company……..an award for 2016 out of 2000 employees. She’s on fire and I’m just trying to keep up. Fun fact of this little blog rant………… both myself & Andrea’s dads have the exact same birthday to the month, date and year – I mean exact! What are the odds? So naturally we celebrate all together every single year on July 8th. This year these two guys turned the big 70! They don’t act a day over 25 and we love it! Actually they both think they are 18. We have to slow these cowboys down. To wrap up, I’d say this year goes down in history like none other. Embrace and welcome whatever life throws at you and work hard to make meaningful changes…that’s my advice to you as you approach 2017 and hopefully make it an even better, more memorable year than 2016 was. The only question for me/us is can we make 2017 top 2016? You better believe I’ve already got some things in mind so I suggest you start thinking the same way.